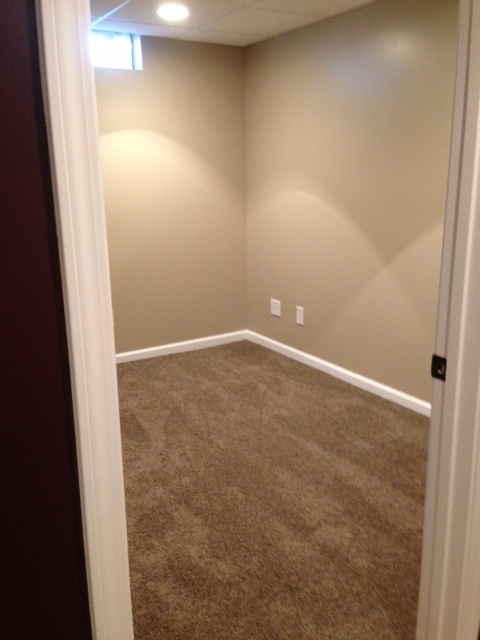 In addition to our outdoor projects, we also offer indoor remodeling as well. 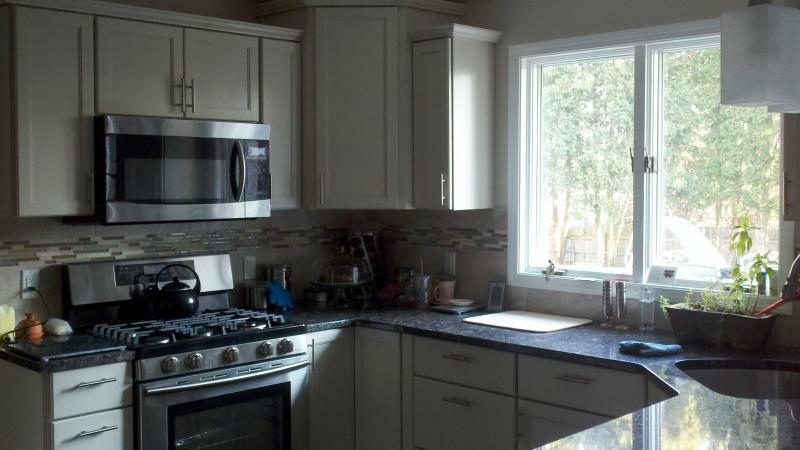 Being a licensed builder, we have been doing kitchen, bath, and basement remodels for over 25 years. 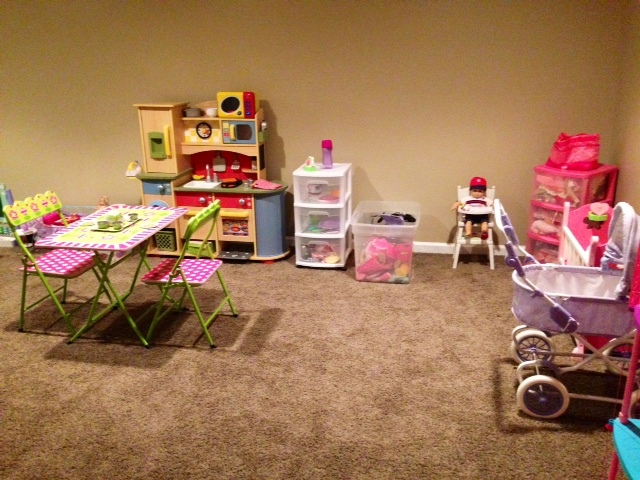 Many of our outdoor customers, have brought us "indoors" to do projects for them as well. 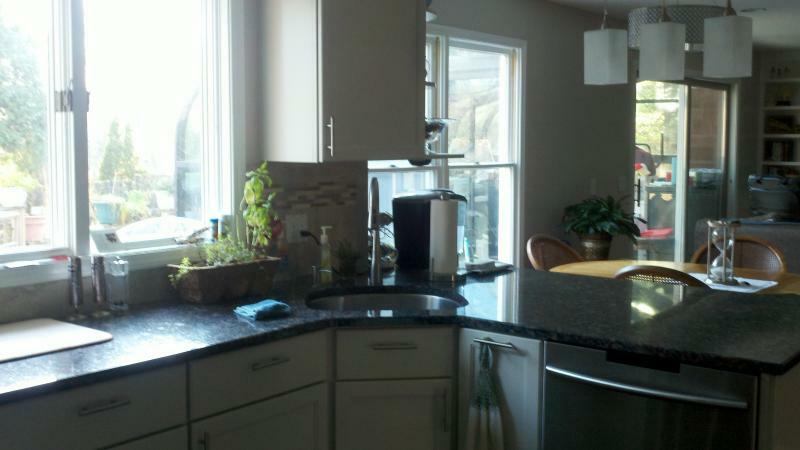 From a project as simple as replacing a countertop and sink, to complex kitchen and bath remodels. We offer the same design expertise for indoor projects, as we do for our outdoor ones. We are pleased to offer referrals to prospective customers. 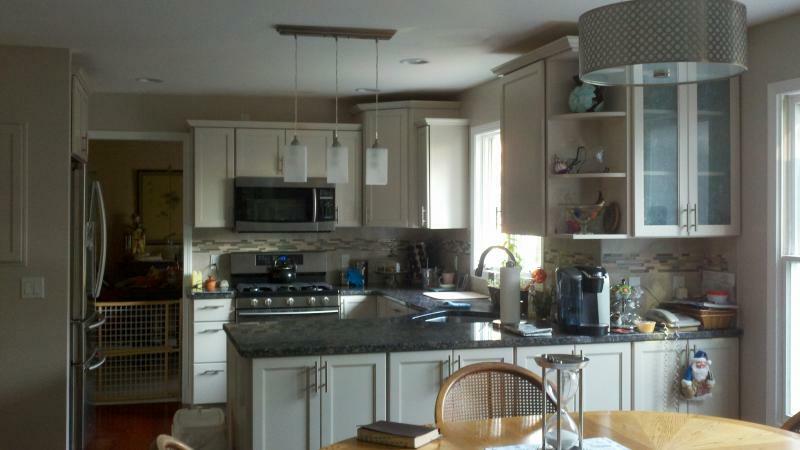 This kitchen offers variable height cabinets w/ valance lighting, a sculpted edge countertop and seating. This modern kitchen with varied height cabinets and granite countertops completely changed the look of this 1980's kitchen. This limited space kitchen semms larger with cabinets going to the ceiling. The under cabinet lighting accents the subway tile backsplash. 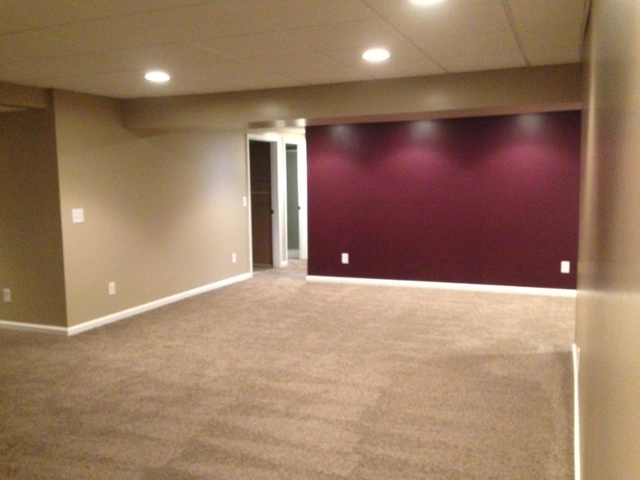 This basement project included a family room, play room, bedroom, office and bathroom addition adding 1200 sq.ft. of extra living space to this home. 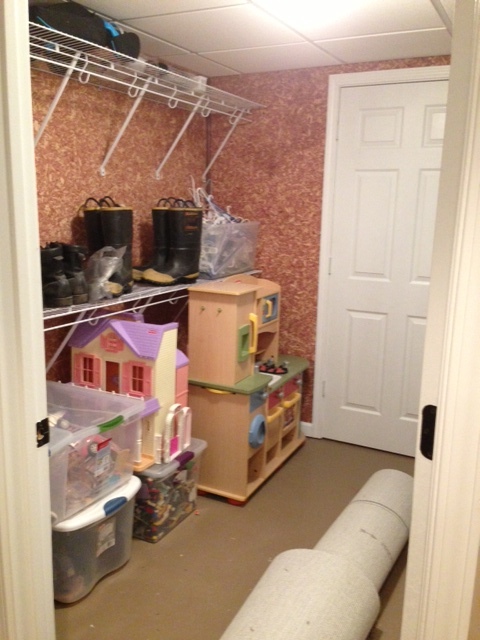 In addition, there are two storage areas totaling 780 sq ft. plus a cedar closet was added for seasonal clothing storage.